Yup. It’s all kinds of wrong. And that’s what they were going for. 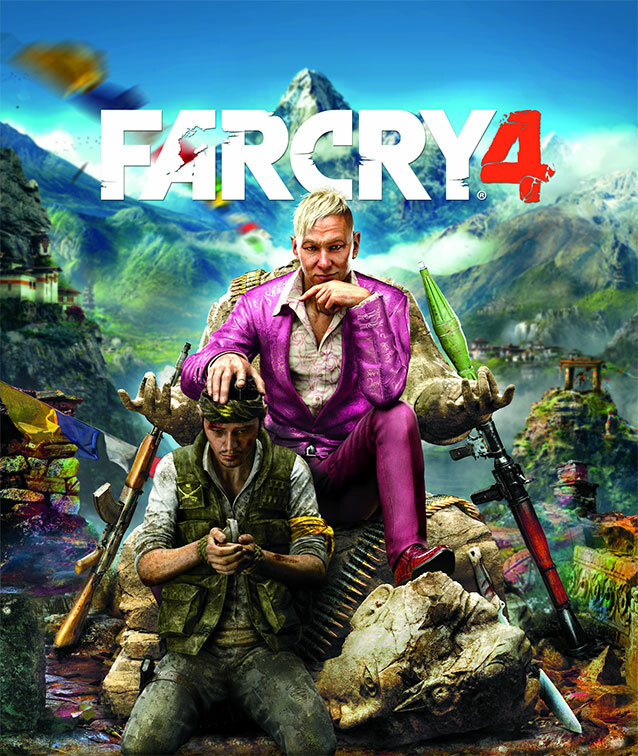 A simple announcement of “FarCry 4 coming out in 2014” is not all that interesting, the fans might see it and take note. But to get everyone’s attention you have to do something different. And to do that you need to create controversy. Every game twitter personality and game news site is talking about it. Ubisoft’s strategy is working out great; this is one piece of brilliant marketing. They are stooping to a low, immoral, and racist level here. But maybe they is what they have to do to get noticed? I have seen this before, I see it all the time with games and especially indie games (not necessarily racist though). How do you get the media’s attention when there are hundreds of other games competing for the same spotlight? Having a normal game name doesn’t cut it anymore, and having just a good solid game doesn’t either. In order for your game to make it on one of the game news sites you need to create a “story”, something that stands out and creates buzz, drama. If you look around on the many indie game blogs and tutorial sites that talk about PR and marketing they all say that to get noticed you have to do something to stand out from the crowd. Talk about the story behind the game, not just the game itself. Did you end up homeless developing the game? Get fired from your job? Get cloned? All of these are great stories that the media will report on. And apparently so is having a racist box cover. I think there are a few parties we can swing the blame stick at. First are the companies, in this case Ubisoft, for creating the controversial press releases. They could have taken a different route to get noticed that wouldn’t have offended anyone. But with millions of dollars invested in a game can they take the risk of maybe getting noticed and maybe not? Same goes with indie game developers. You spend years making a game, making no money, all to maybe have it seen by a few hundred or thousand people? It’s tough, there’s a lot of risk involved. You want to ensure you have invested your time and money well and often that means you need to generate some zany headlines. The next party we can blame is the game industry as a whole. There are just so many games out there that competition is heavy. Game quality, polish, and finding your niche is really required to succeed. It is easy to make games nowadays, there are lots of platforms to release on and it is easy to release on them, and everyone wants to make a game. Game developers hear the success stories and want to get in on the money-making action. This is flooding the market. Finally, I have to place the largest blame on the game media: those of you that report on these stories. When it comes to game exposure on the web and in social media the buck stops with you. If you don’t report on these controversial, racist, and immoral press releases, people won’t see them and if people don’t see them then that media campaign was a bust and the company will hopefully try a new, more appropriate, strategy. What do you do if your kid is throwing a tantrum for attention? You ignore them and don’t reinforce the behaviour. Right now the game media has walked right into Ubisoft’s trap. The cover box has generated so much controversy, and not just for the art but also for what the story could be about: is there going to be deep political or social narrative? The mystery! The hype! I hate to say it but this is brilliant and successful marketing. Now not talking about the issue is easier said than done. As a news site you need to get people to read your material, and drama behind the game itself attracts attention. People love drama. Pop magazines, tabloids, reality TV shows, all have no content and subsist off of drama because it pays the bills. If you don’t report on the racist cover box other sites will and then you will miss out on those precious page views! You don’t want to be the only one not talking about it, so you write an article, you tweet, Ubisoft gets hundreds of thousands of eyes on their new game and they win in the end. I’m not saying that the media should sit idly by and let companies get away with racist/homophobic/immoral press releases. The companies should be reprimanded but not publicly. Reply to their PR representative and explain that their press release is inappropriate and for those reasons you will not post their story. Ubisoft dropped the bait and you bit. The hook is set and they landed a mother-load of page views. They will come back again with the same bait and the process will repeat. Only until someone decides to not give them attention publicly will this cycle end. Maybe then we can have a more mature and inclusive game industry.